Design-bedroom design in a two-room apartment in the Centre of Kazan. Customers-young couple. 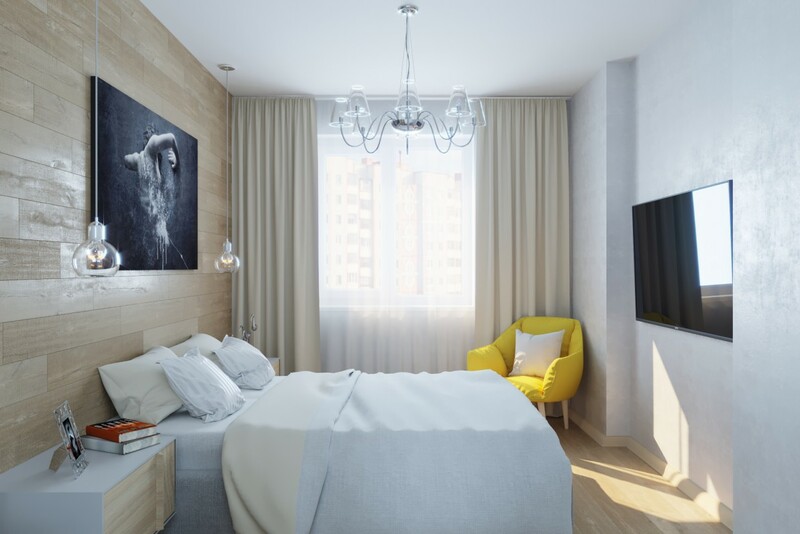 Like modern bright apartment, with elements of hi-tech style.